North Korea's stance of aggression was confirmed with the detonation of a third nuclear weapon last month. Sanctions, which have failed thus far in addressing the leadership of the nation, have been made more stringent and draw parallels with those previously applied against Iran. The imposition of a ban on financial transactions with Pyongyang, searches of suspicious shipments destined for North Korea and further restrictions on the sale of luxury goods have been promoted by the international community as well as the North's only former ally, China. A surprising stance to take, particularly since it's believed China previously supplied the vehicle necessary for the transportation of North Korea's road-mobile ballistic missiles. While the North's recent statements of hostility have been of a new level, there has been no substantial escalation of the situation on the peninsula. Two previous nuclear weapons have been tested, with sanctions applied and the situation today is still very much the same as it was in 2006 and 2009. The government is uninfluenced by sanctions, happy to let ordinary people starve while it furthers its weapons programme. The UN's authority comes only from a nation's recognition and respect of it. This doesn't apply in the case of North Korea or Syria, with Kim Jong-Un happy to identify with the increasingly marginalised state. 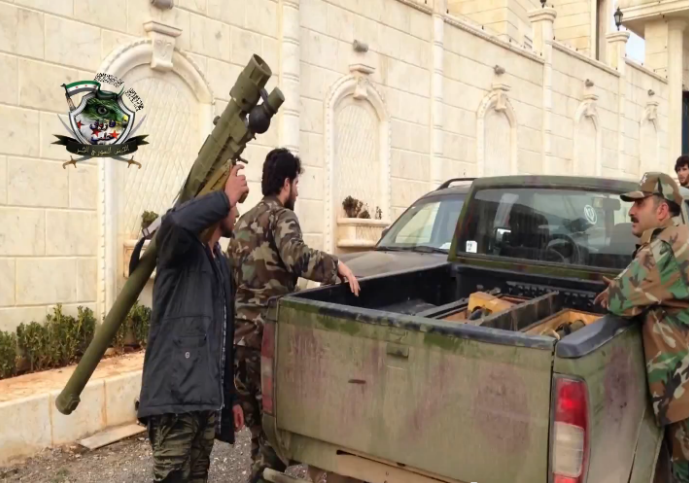 With the first imagery of the weapons has emerging in the past month, analysts have identified some of the weapons as imported SA-24 MANPADS. The Syrian military was never able to import the Russian built SA-24, which means that the rebels have received arms from a source other than a Syrian armoury. The logical conclusion being that an external, international actor is providing this latest generation of anti-aircraft weapon. The ability of rebels to challenge the government's aerial superiority may be the decisive factor in toppling the Assad regime. What this means is that there are now an increase in the number of people in the world with a violent agenda and a capability to shoot down planes. The possibility of the weapon's proliferation amongst terrorist networks is now far more likely. The instigation of the Rwandan genocide (which killed half a million people in 100 days) was the shooting down of President Juvénal Habyarimana's jet, killing him and Cyprien Ntaryamira, the President of Burundi with such a weapon. During the Troubles, the Irish Republican Army controlled much of the territory of South Armagh by forcing the British army into the air. Roadside bombings were having such a devastating effect that bases were supplied and reinforced by helicopter for three decades. Left unimpeded, the Provisional IRA would became the world's most violent and destructive terrorist groups. Had the IRA greater access to anti-aircraft weapons, the situation in Northern Ireland would likely have escalated, further drawing out a prolonged and violent campaign. The level of threat associated with North Korea is disproportionate. Proliferation of nuclear weapons, is slow, politicised and cumbersome. Their technology is accessible only to those with nations with the finance, infrastructure and military might to wield such a weapon. The lethality and effects of anti-aircraft weapons, however, will influence the world stage in a more pointed and noticeable way. Civilian airliners, the previous hard-target of terrorist groups, is quickly becoming within their grasp. A man-portable, ground to air-missile requires relatively short amounts of training, can be carried by one man, transported in a family saloon and destabilise international relations in minutes. The United Nations will have no bearing on the greatest threat to international security.